Not what you want 2 weeks before Canton! Was having some issues with the wrist on my shooting hand and after only minor improvement from limited use I figured better go see the Doc. Well it appears I have a sprain of unknown origin and recovery is typically 2 - 4 weeks! So being the proactive person I am I started dry firing righty a couple days ago, just in case! Re: Not what you want 2 weeks before Canton! I'm shooting thru occasional carpal numbness on the right. I shot a whole gallery 900 a few years ago with a numb hand. Presently i have OT going on for the left carpal. Good thing I am not lefty. 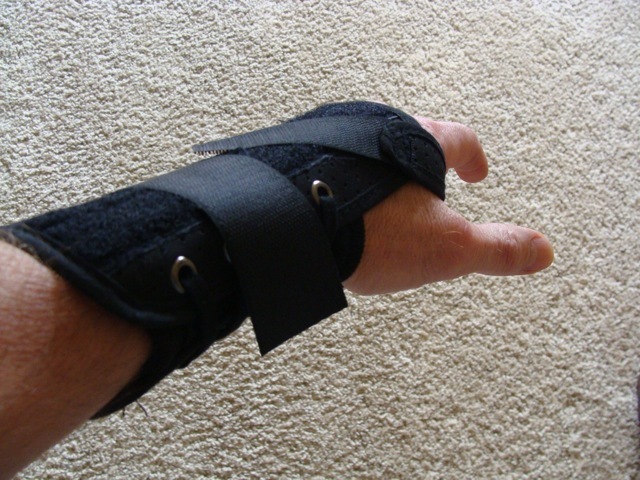 I wear the splints on both at night and whenever.